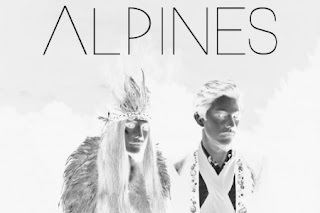 Skream burst into the wider world with his stunning remix of La Roux's 'In For The Kill' and he's done the business again with one of my favourite bands of late, Alpines. Check out Skream's I Ain't Got A License remix of 'Drive' below. The remix amps up the slow burn of the original into something very different. It's actually got a bit of a Dr Jekyll and Mr Hyde thing going on - part dubstep monster and part unashamed dancefloor filler. But the remix retains just the right amount of intensity throughout to be one of my favourite remixes of the year. Download the remix for free by signing upto the mailing list at www.alpin.es.